Hanayui no Kirameki, otherwise known as Sparkling Flower, is a mobile game for Yuuki Yuuna wa Yuusha de Aru franchise. 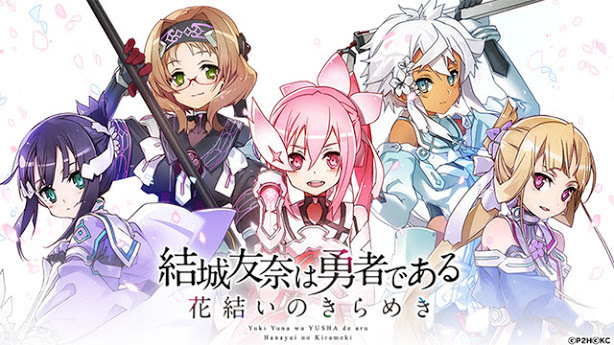 It brings together the 3 different timelines, presented in 3 different series of novels (Yuyuyu, Wasuyu and Nowayu) as well as a mobage-only group (with Shiratori, who we saw glimpses of in Nowayu but never had a series of novels for the group). Hanayui boosts a large cast size, but not big enough to create problems, especially if you are a fan of the franchise or have at least watched the anime. The game itself is rather RPG based and you get the fun of solo-player events, but still interacting with your friends through borrowing their main girls as "helpers" during battles. Each stage is ranked up to three stars via 3 aims: clearing the stage, completing it within the designated timer, and completing the stage with no character dying. 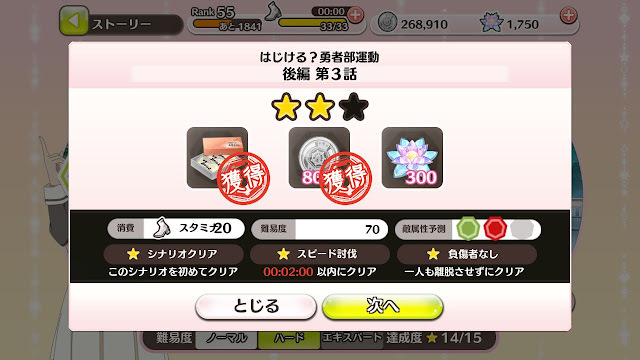 You will gain the reward based on how many stars you obtain per clear, and not based on what goal you clear. That is, if you clear 2 of the goals at any one time, you will not be able to get the third reward unless you clear all 3 at any one time. Each stage consists of X number of enemies you have to kill and when the counter falls to zero, the boss will spawn. Hence it is crucial to increase the "critical" status of the characters as each critical attack on an enemy will take 2 enemies off the counter instead of 1. Attack pace is also another way to improve speed of killing. 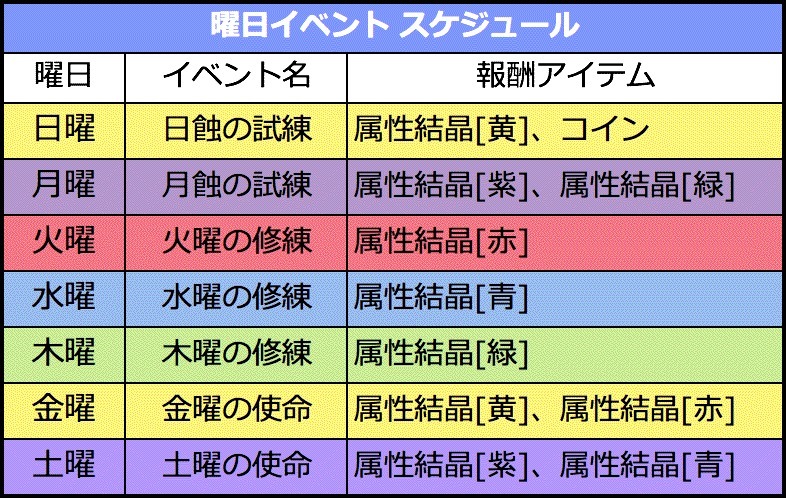 The game also runs a lot on attributes (blue--> red --> green --> blue; purple --> yellow --> purple). Using a "stronger" attribute such as blue hero against red enemy would enable you to deal twice damage while getting your damage halved. 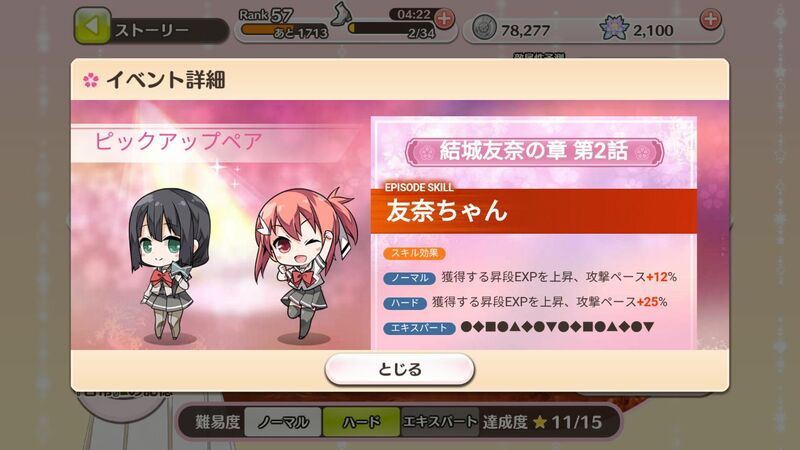 In addition to that, specific girls have chapter bonuses and setting your teams with this characters as the leader pair will then activate these bonuses. 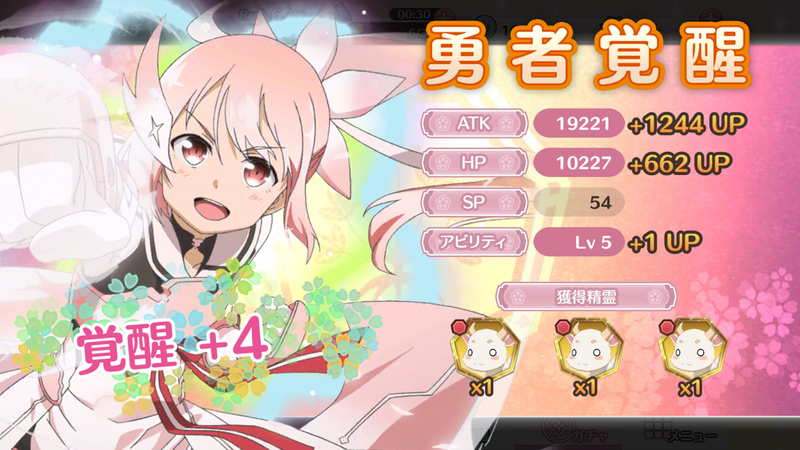 In the case of the image above, setting Tougou and Yuuna together (no matter in what order) will give EXP up and 12% increase in attack pace for normal stages and 25% increase in attack pace for hard stages. 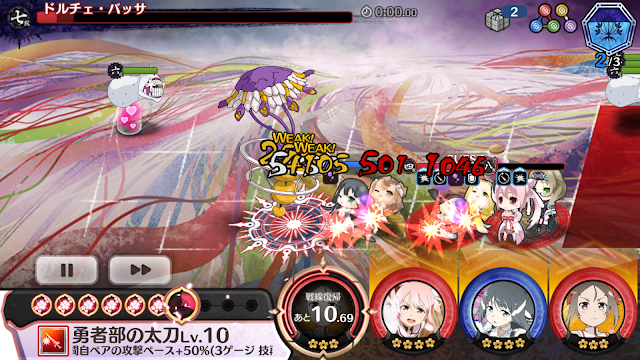 At the instance of the screenshot, expert stages were not released yet but now expert stages are also in-game and are proving a challenge to clear. Your teams are constructed with a maximum of 6 girls. There are some rules to this, whereby unique characters are to be placed on the front row and in pairs. 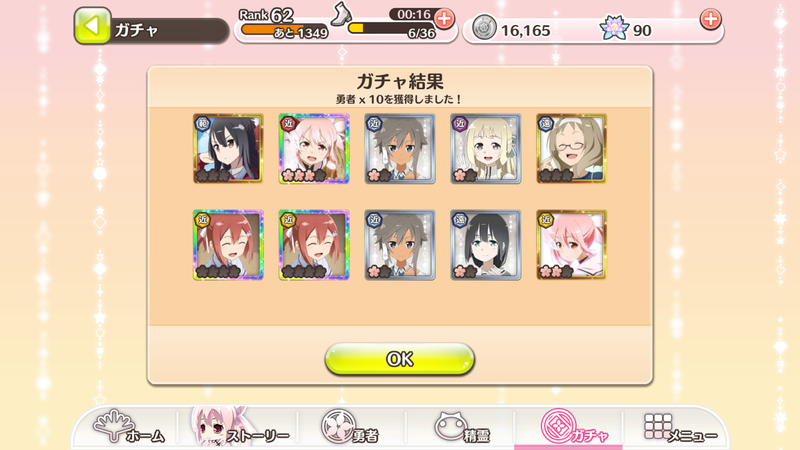 That is, I am unable to have 2 Yuuki Yuuna in the front row or use her in the same pair, but I can put 2 more Yuuna cards behind my other 2 pairs. 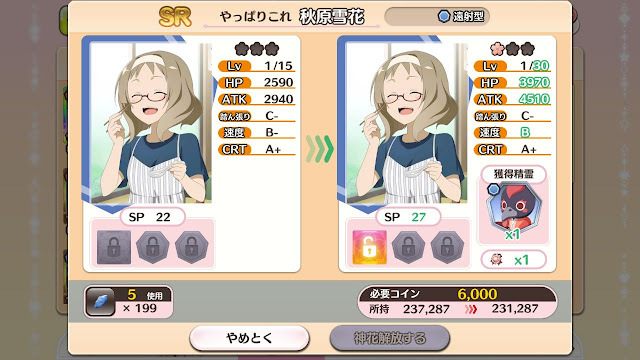 The pair color will follow the color attribute of the girl in the front row, and the stats of the girl behind will contribute to the pair. Faeries are also added to the pair to boost stats and reap some in-battle benefits. 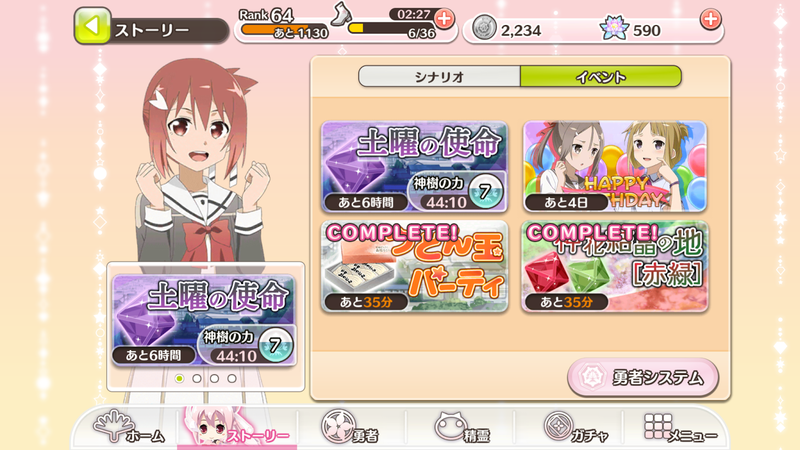 To help farm for items, the game also has daily stages which you can grind for coins (used for literally anything in the game) as well as crystals for awakening. Awakening requires materials and coins that scales as you awaken them more. SRs can awaken a total of 3 times (max at level 70) while SSRs can awaken a total of 4 times (max at level 99). 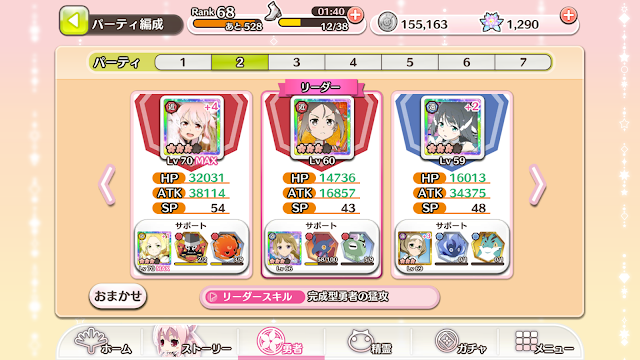 There are 2 kinds of scouting in this game (with gems/Shinju blessings) and with friend points. You can get 50 friend points for using a friend as a "helper" and 20 friend points otherwise. Scouting with Shinju blessings gives characters (60 per day for paid blessings, 250 per pull or 2300 for 10-pull), and scouting with friend points gives both faeries and characters. 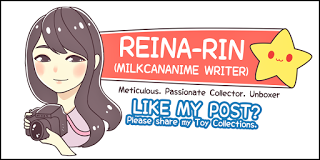 Do note that while scouting 10-pull with Shinju Blessings gives at least 1 guaranteed SR, scouting with friend points do not guarantee anything and getting all Ns are not out of the ordinary. Getting doubles of character cards in this game is rather good as it increases their stats and gives more faeries. Getting more of the same faerie means you get to upgrade them and that will boost their usefulness. In addition, many players especially make use of the boost in character stats by grinding for drops during events. If you are intrigued by this game, I'd say why not give it a try? No Comment to " 「Mobage」Yuuki Yuuna is a Hero: Hanayui no Kirameki "